Would you like to be better known within the francophone and francophile population of Northwestern Ontario? If so, the Franco-Festival is your solution. 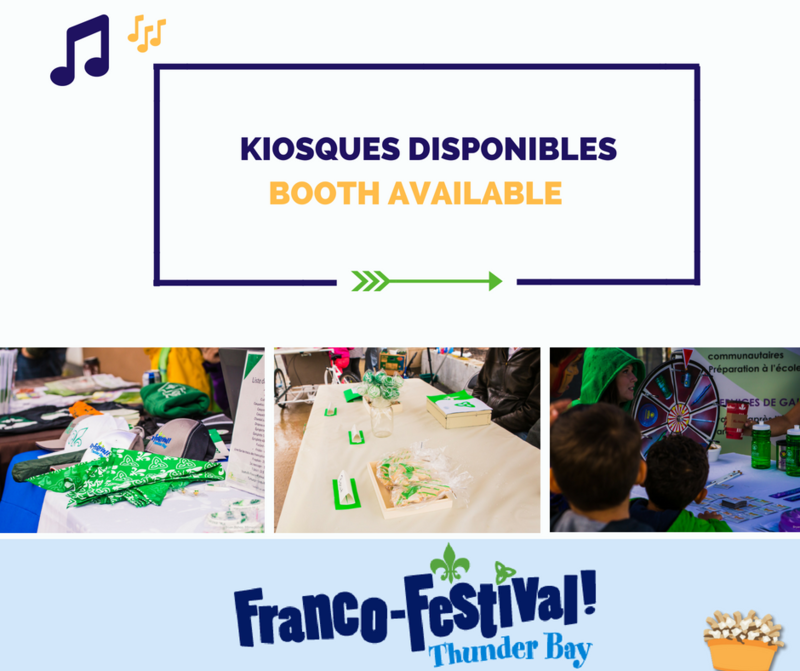 Started in 2007, the Franco-Festival has become the greatest celebration of francophone culture in Northwestern Ontario. The Centre francophone will host many activities, such as art workshops and exhibitions, traditional food, an outdoor concert and much more on Saturday, September 29th. Booths will also be available for local artists, vendors and businesses. Application form to register as a vendor. ***Please Note: We must approve all vendors. Should your booth be refused, any payments received will be refunded in full. SET-UP & TAKE-DOWN REGULATIONS: Set-up MUST be done prior to the event opening and take-down MUST be completed immediately after event closing.